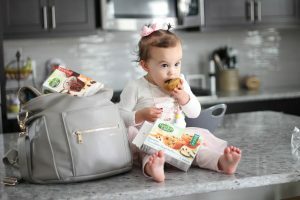 Anyone have a child who use to eat everything and now and pretty picky? Well I have become the master of sneaking veggies into Izzy’s tummy. From shakes to fruit and veggie ice pops. But those are not always the best “on the go” items. 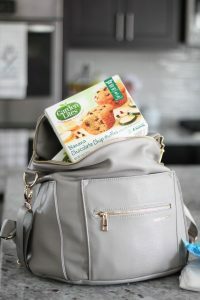 Garden Lites are perfect for on the go! Toss them into your purse or diaper bag. 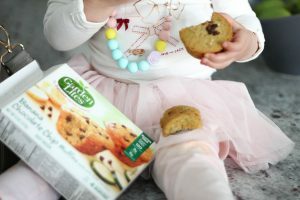 I must say Garden Lites has mastered muffins with veggies & your kids will never know. Your spouse won’t either.. my husband had no idea as he tried a bite of Izzy’s muffin that it had veggies in it, until I told him they are 33% vegetables. Although I always offer veggies on her plate they often don’t get eaten. She’ll here and there “try” a bite. Then she tells me, “like it”, while shaking her head no. Since she won’t eat carrot sticks or spiralized zucchini I’m giving her Garden Lite muffins… because these veggies can be found in them. Win Win! 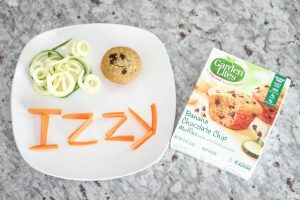 Where do you find these veggie muffins by Garden Lites? We got them at Publix in the freezer aisle. 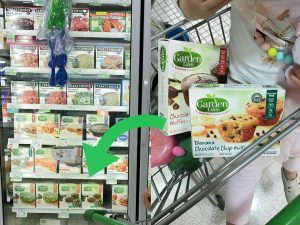 Try some Garden Lites for you or your kiddo(s)! Click here to save on your purchase. My kids love these! And I love that they’re eating veggies. Win win! Hmmmm I am interested. Hard to get a couple of my kids to eat their veggies! I’ve never tried these but I’m so intrigued! I’ll have to pick some up later today! 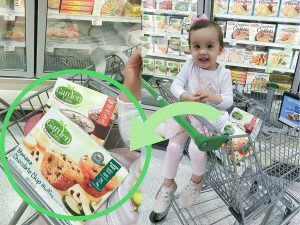 What a great way to sneak in veggies! I’ve been hearing a lot about these and been dying to try them! I love hearing good reviews! Your little girl is so cute!! Now I know where to look for these muffins. Freezer aisle yay!!! Thanks!!! She’s loving it sooo good. We prob finished a whole box today lol.